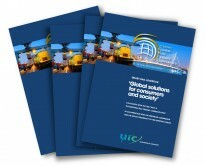 Gain exposure by promoting your company at the 5th UIC Global Rail Freight Conference (GRFC 2016) in Rotterdam, The Netherlands! The GRFC 2016 will host a professional exhibition which will be held 20 – 23 June 2016. 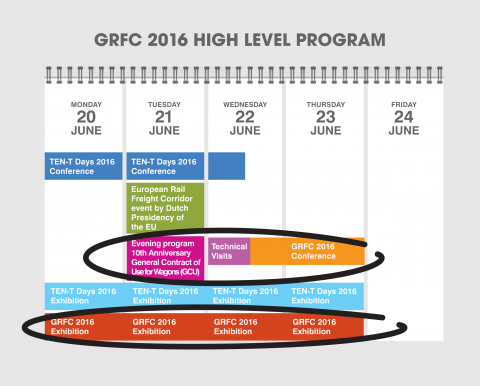 The GRFC 2016 Exhibition is scheduled parallel to the TEN-T Days 2016 and the European Rail Freight Corridor event by the Dutch presidency and the Global Rail Freight Conference 2016 itself. All these events will take place in the same venue: The famous Van Nelle Factory, included on the UNESCO World Heritage List. Please be informed with the exhibition and sponsorship opportunities and let us know if you have any other ideas to make them even more tailor-made. Please note that there is a limited number of packages available. Enter your name and email address to receive our digital prospectus with more information about Exhibition & Sponsorship Opportunities at the GRFC 2016.